The 2010 Hot 100 issue of Australian T3 is out now. Nice mag, lots of tech, with packed full of gadget photographs that are far more than simple product shots. Good info, and glossy gadgety goodness. And making an appearance in the T3 Hot 100 issue, is TechStyles. T3 Editor-at-Large Damian Francis asked me to contribute my Hot 5. You’ll find my Hot 5 on page 47, along with my mug shot. Magazines have limited space, even more so the side bar spaces in magazines, so it was necessary to edit the words down a little. Here’s my Hot 5 as originally written. But one last thing, before we hit my Hot 5 – the Australian T3 Hot 100 issue is out now, $8.95.Pick up one for yourself and one for a friend. My favourite architect, Frank Lloyd Wright. My favourite building of his, Fallingwater. 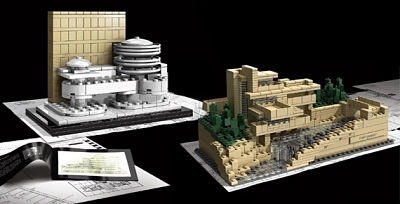 And in steps LEGO, one of the all-time great products, to enable you to have a little blocky slice of architectural genius in your very own home. It’s down on the LEGO site as unavailable in Australia, but where there’s a will there’s an e-commerce way! Wright’s Guggenheim Museum is also available. Android is starting to land on more devices from more manufacturers. It’s been around for more than a year, it’s stable, and Google are taking the slightly out of control versioning of the operating system in hand. Plus every day there are more and more apps. For mine, HTC is the phone maker that is the leader in not just filling the phone up with tech and app wizardry, but really thinking about how we use a phone these days, and making some very cool user interfaces. I’ve had the HTC Desire to play with, and it’s a little gem. Should be an Incredible year for HTC… depending upon the legal nastiness with Apple. A predicable entry, sure, but I commute 4 hours a day, so the iPad is made for me, and I’m marking it as capital H hot! My opinion of the iPad? I sit somewhere between fanboi and pragmatist. I don’t think it’ll change the face of computing, and I think to call it merely a big iPod Touch is entirely missing the point. 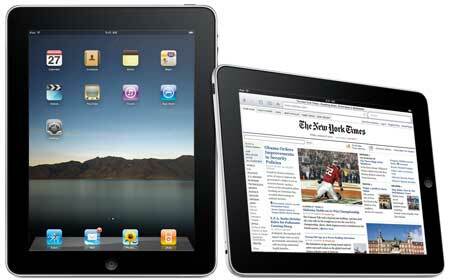 I think the really interesting thing with the iPad, as with the iPhone, is the software. And we haven’t even begun to see yet how the software will make the iPad sing. A thing of wowness that very, very few of us will ever experience, but Wow! all the same. It’s a boat, that’s a house, but it’s not a houseboat. 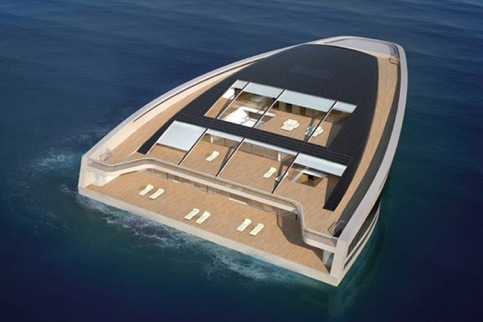 This “floating island” is a collaboration between Monaco-based boatbuilding company Wally, and French fashion house Hermès, inspired by Jules Verne. Onboard is a helipad, 82 metre long pool, a beach, dining room and library, and 5 suites. It will carry 12 guests, and 20 crew. Estimated price? A cool US$160 million. I wonder how much extra for the pirate-stopping weapons arsenal and mercenaries I’d be wanting? Buy golf clubs online. No big deal. But I like that it’s an Australian business. I like the pricing. I’ve had a hit with Lind clubs on the driving range, and they feel good. Callaway Big Bertha-esque I thought. But what I like best is the way you can customise the look of your set. You pick the type of club, the shaft, the grip, the ferrule… and mix and match the colours of all the components, choosing from up to 9 colours. Build and customise online, order and pay, and voila, you’re on the course and you’re looking good. Lind Golf do run demonstration days at driving ranges all over Australia, so you can have a hit before you buy. 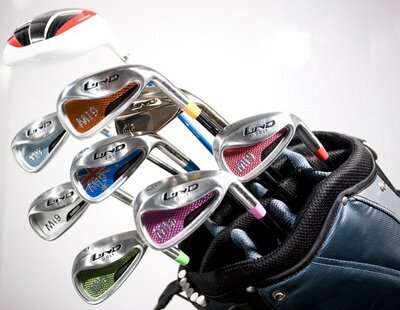 Have a look at the Lind Golf website to see the range of clubs and colours, or to see if there’s a demonstration day near you.